Grab headlines by gifting away this custom tire gauge with keychain to your valued customers during next tradeshow or campaign! This aluminum made key tags grabs lightest share of your total marketing budget and offers you long term value benefits in return. 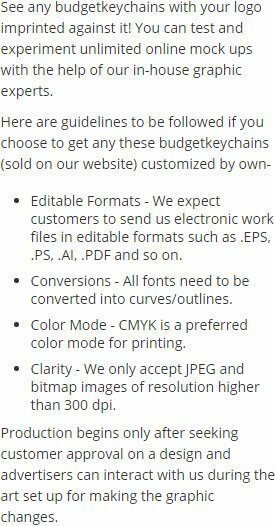 Whether you plan to expand your business or reach out to existing customers, this budget friendly keychain is a perfect choice. It has been extremely easier to save money, efforts and labor through this keychain. Great for advertising automobile service stations, tire shops, gas stations, vehicle insurance, car dealership showrooms and many more. 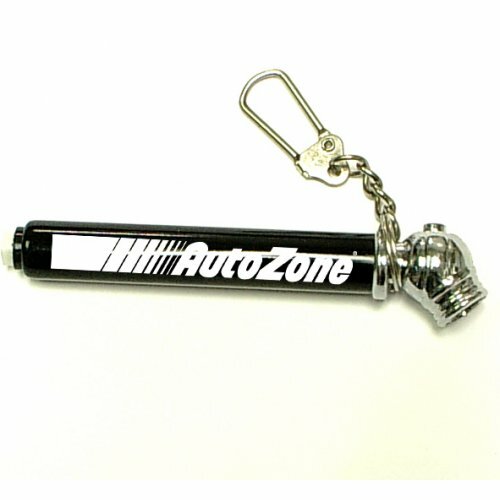 Request a quote to know discounts on bulk orders of this promotional tire gauge with keychain. Features – Tire gauge with keychain. Aluminum construction. Strong clip key holder. Measures up to 50 PSI. Product Size – 3 1/4" x 5/8"
Product Size :3 1/4" x 5/8"